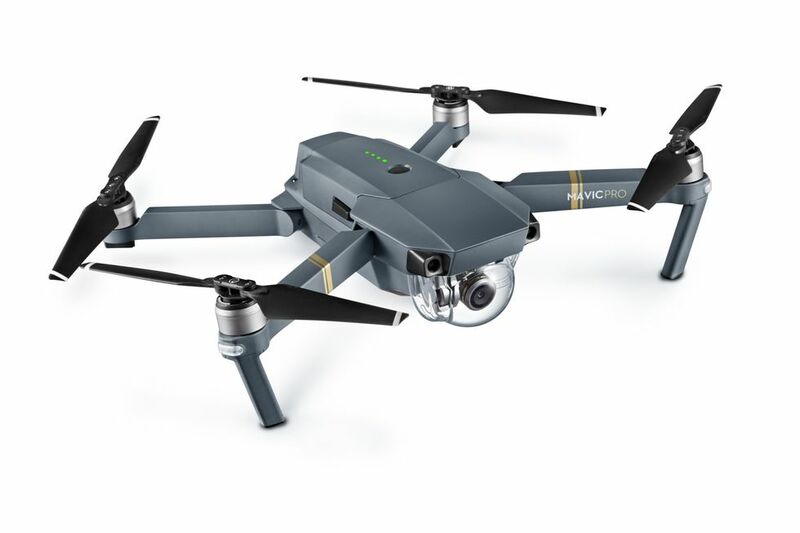 PolarPro continues to expand its filter line with the launch of the DJI Mavic Pro drone. The DJI Mavic’s small platform makes it one of the best drones to snap epic aerial photos and videos in any location. For pilots seeking to capture the very best quality photos and videos, we created a line of DJI Mavic filters to help capture perfection. The DJI Mavic Filter 3-Pack will include a circular polarizer filter for reducing glare and increasing color saturation, an ND8 filter for reducing shutter speed for partly cloudy days, and an ND16 filter for filming on sunny days. Each neutral density filter for the DJI Mavic helps reduce the shutter speed and create smooth cinematic videos. 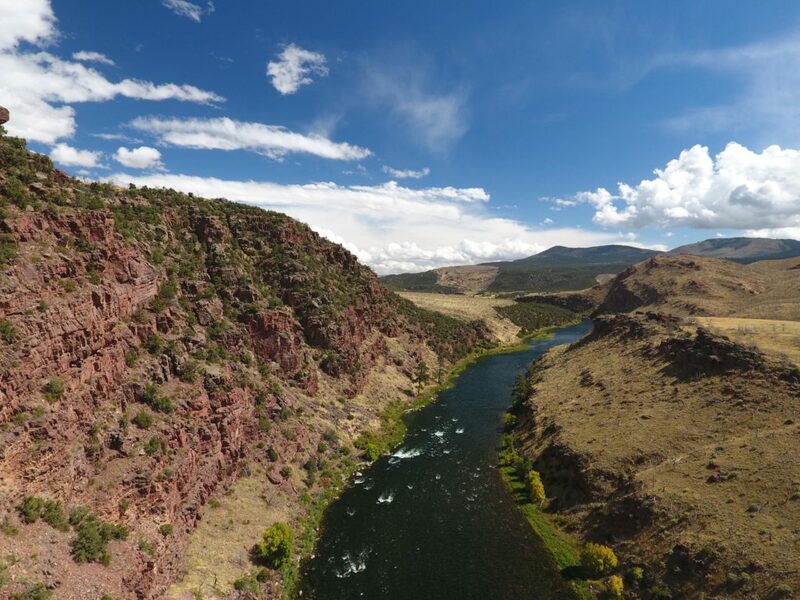 The Circular Polarizer filter is designed to reduce glare, which is especially helpful while filming over water or snow. Each filter uses PolarPro’s AirFrame construction for feather-light weight and ultra-smooth gimbal movement. The DJI Mavic Filter Professional 6-Pack includes all the filters in the 3-Pack and 3 other additional filters, which will cover nearly every lighting condition. 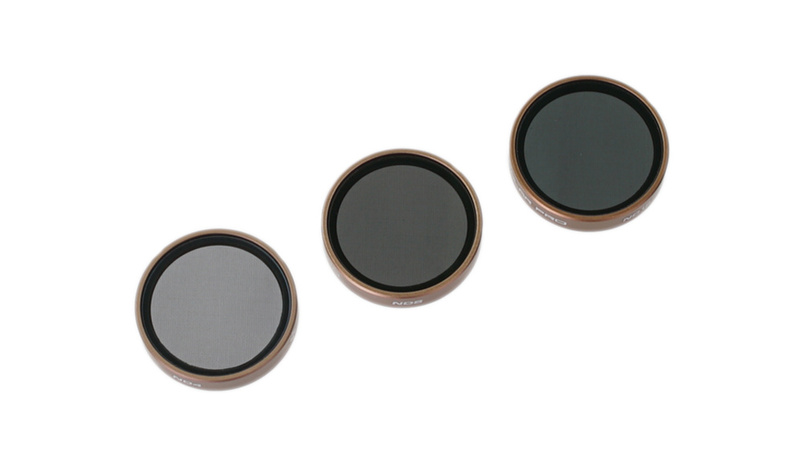 Included in the Mavic Filter 6-Pack is a CP, ND8, ND16, ND32, ND8/PL, and ND16/PL filters. The ND32 filter will help Mavic pilots get a slow shutter speed for filming in extremely bright conditions. The ND8/PL and the ND16/PL are both specialty combination filters that enable pilots to lower the DJI Mavic’s shutter speed as well as reduce glare all from one single glass element. The ND8/PL should be used on partly cloudy days where polarization is needed, while the ND16/PL should be used on sunny days for a smooth cinematic composition. All of the DJI Mavic filters in the Professional 6-Pack are constructed with PolarPro’s AirFrame design making them feather-light. All new for the DJI Mavic is a set of UV replacement lenses. With the DJI Mavic being able to reach speeds of 40 MPH, we wanted to make sure we made a set of replacement UV filters in case of a crash. The UV filter on front of the camera is design to protect the lens; the theory is that you break the UV filter (which will only be $17.33) instead of the $400 camera lens. 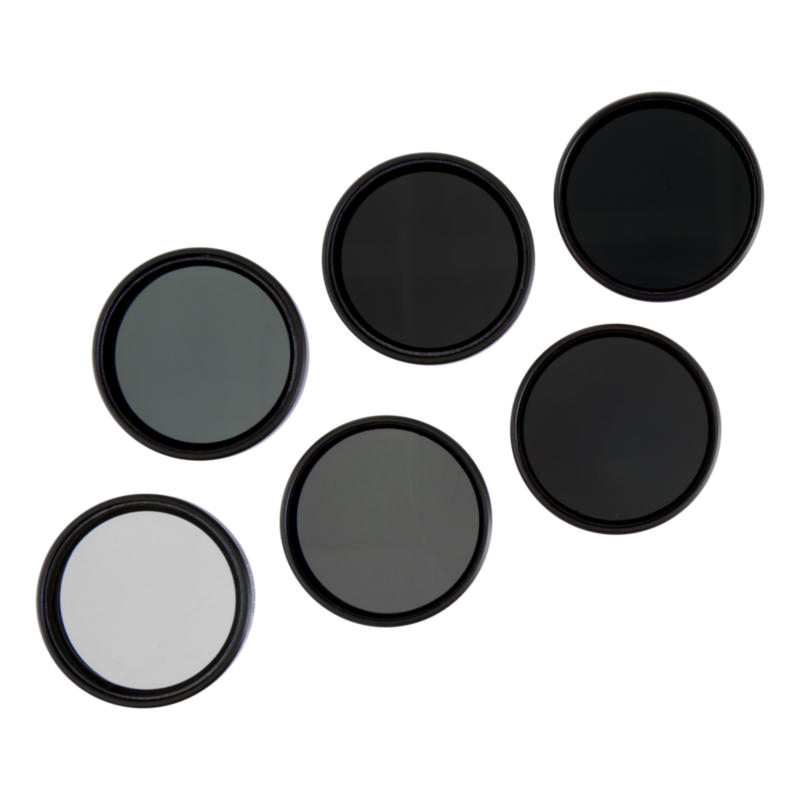 Each UV filter is constructed out of an optically perfect piece of glass, which will allow you to capture razor sharp images, and not degrade image quality. The DJI Mavic Replacement UV Lens 3-Pack is the perfect set to keep on hand in case you accidentally send your new drone into a tree. In addition to our core line of filters, we will also be making some accessories for the DJI Mavic Pro. In the design pipeline are LED Lights for the DJI Mavic, which will allow pilots to see the Mavic when flying during low light conditions or far away. The DJI Mavic Lights will make the drone more visible and safer to fly. 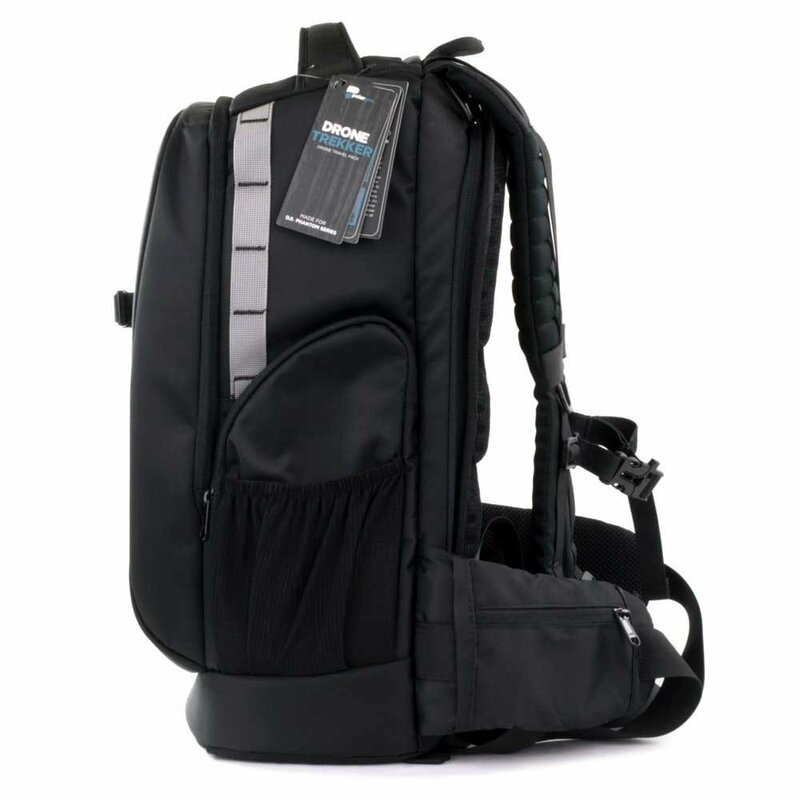 The PolarPro DroneTrekker is the perfect DJI Mavic Pro backpack and will carry up to 2 x Mavic’s, 8 x Batteries, 1 DSLR Camera, 2 x DSLR Lenses, a 15inch laptop. This backpack for the DJI Mavic is the perfect size that is compact enough to be airline approved carry-on, and large enough to fit all of your gear. Whether you are out exploring for the weekend or traveling across the world to capture content, PolarPro’s line of filters, accessories, and backpack for the DJI Mavic will make it more enjoyable. Lastly PolarPro is offering a solid Hard Case for pilots demanding the most protection for their DJI Mavic. The PolarPro Hard Case is watertight and impact-resistant protecting your drone from the toughest of conditions. Perfect for airline travel as well as an every day carry. 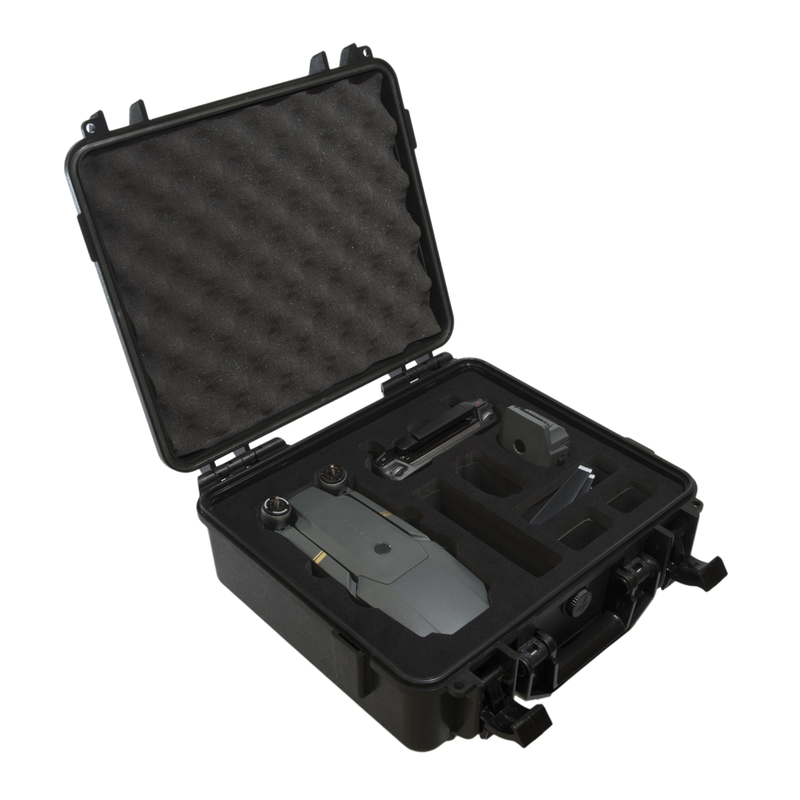 The PolarPro Hard Case features custom engineered slots for the Mavic, remote, 2 extra batteries, and four additional accessory slots.